Who Should Arsenal Face: Barcelona or Real Madrid? So the much anticipated Champions League draw is tomorrow afternoon (in my time zone anyways). 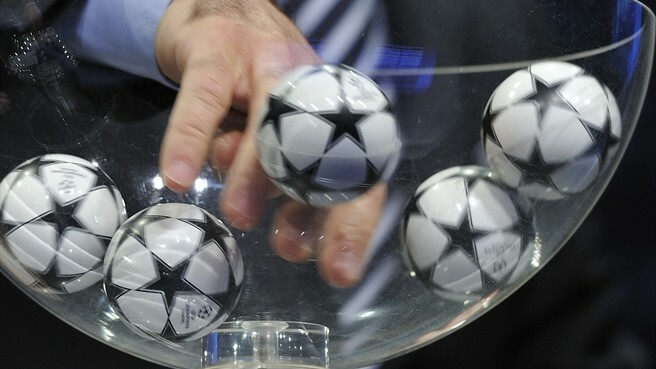 The four teams that we can draw are Schalke, Bayern Munich, Barcelona or Real Madrid. Does anyone have a feeling like me that it’s most likely going to be one of the Spanish giants? Our Champions League campaign started on a high when Arsenal comprehensively won the first three group games, but had to wait to the last game in order to secure qualification. We only have ourselves to blame for making things so difficult. But as many people predicate our team, that it wouldn’t be Arsenal if they didn’t do things the hard way. Some fans seem to think that it’s best not to focus on the Champions League and actually get eliminated early to focus on the Premier League. This could be maybe because of the disappointing performances against Shakhtar and Braga, so the ‘hope’ of winning the competition has dissipated. Unfortunately, Arsenal have found themselves in a similar sort of position in the Premier League for a countless number of times in the past few seasons and yet haven’t been able to capitalise on them. One of the fans I talked to recently said that he wants Arsenal to face Real Madrid to give them the same 5-0 thrashing that Barcelona did (woah, that’s the spirit!). Many may also want to face Barcelona early on in order to take revenge of last season. That is a possibility, especially since our team does look a lot stronger than when we faced Barcelona the last campaign. This time, Samir Nasri is firing at all ends and we have the likes of Chamakh and a fit RVP, so Bendtner is less likely to be our primary front-man. Others of course, are still wary of facing Spain’s dominating footballing forces and would much rather fancy their chances against Schalke or Bayern to progress further into the tournament. Questions about our weaknesses remain. Football pundits ask whether Fabianski is ‘good enough’ to protect the Arsenal goal for them to win the Champions League? Does the Arsenal backline possess enough quality and depth to prevent the likes of Messi and Ronaldo scoring goals aplenty? Is Chamakh prolific and lethal enough for the Gunners attack to lead us to glory? The problems are there. But do we sulk about them and lose confidence, or accept them and move on? The latter seems to be the right way to go. Does it really matter whether we face Barcelona or Real Madrid early in the competition? We’ll have to face them eventually if we are to win. So why fear them at all? I cannot accept any element of fear in this Arsenal side. We are a team that has played in this prestigious competition for 13 seasons so far. The team needs to exuberate confidence and the winning mentality must flow through the veins at all times. Whether we play at Camp Nou, Santiago Bernabeu or at the Emirates, we must be in it to win it. I’m absolutely delighted by the fact that Chelsea dropped points yesterday. This brings Arsenal on par with Chelsea with 29 points. Manchester United are top with 31. Pundits were predicting Chelsea to walk away with the title this year saying that they had the better squad, more experienced players etc. Bullsh*t!! I do not know about Manutd but this year I truly believe that Arsenal have what it takes to win the title. The squad is indeed one of the strongest Arsenal squad I’ve seen in a long time. Sure it’s not perfect and it has weaknesses but you do not need a perfect squad to win silverware, you just need to have a team that can perform better than the others. This team can do that. Which brings us to the topic of today. The next four game weeks are difficult for all the top three teams as they face each other in quick succession. This could change the appearance of the league table drastically and could give a more clear indication about who ‘really’ got what it takes to win the title. Let’s take a look at the fixtures then? Chelsea have got the hardest fixtures and what a time to have them! They are on a roll, a roll of dropping points. In their next match, they face Everton at home. Given that Everton have poor away form with only one win in their last five games, I still expect Moyes’ side to give this weakened Chelsea side a run for their money. Everton have players coming back from injury; their only concern would be the suspension of Mikel Arteta. They still have Tim Cahill though and he has been using his head(literally) to score goals for fun lately. Even if Chelsea do win this game, they will not be able to relax because they face the ”mighty” Sp*rs next. By the time Chelsea face Sp*rs, they should have John Terry and Franky back to their starting line up. Sp*rs have Van der Vaarth injuried for upto a month(according to latest reports) and it certainly won’t be easy for them. But, the game is at White Hart Lane and this certainly evens things down a bit(they have won four of their last 6 home games and drawn 2). So even with VDV out, I expect Chelsea to drop at least 2 points in this fixture. Big, big game this one. I can’t even guess what will happen here. I’m predicting that Rooney will be in full swing by this time and Chelsea,hopefully, will be low in morale after dropping points against Sp*rs. This could possibly be a high scoring game as both teams have players who would have returned by then. Arsenal fans all over the world will be hoping for a draw in this fixture. In any case, whatever the result, this game can only bring positive news for the Londoners. 1) Blackpool vs Manchester United: This is an easy fixture for the ManCs. Blackpool are conceding goals wherever they play and their home form has been abysmal too, winning only two of their last 6 games. The best that they can do against this in-form Manutd side is get a draw. But lets not get our hopes up; Blackpool should be thrashed in this game. 3) Chelsea vs Manchester United: Unpredictable as mentioned above. 4) Manchester United vs Sunderland: The fact that Sunderland have the core of their defense out injured certainly is not good news for their rivals. Titus Bramble and Michael Turner are out for months and are not expected to be fit for this fixture. Manchester United are gaining momentum game by game and I really can’t see them losing against Sunderland at home regardless of their previous results against Chelsea and Arsenal. Arsenal vs Fulham: On paper, this may sound as a very easy fixture for Arsenal but this actually is a big test for them. Arsenal are struggling at home having lost 3 out of their last five home games against various oppositions. Arsene Wenger has said that these losses were only coincidental and that Arsenal will bounce back. I think this is true. Arsenal have been losing home games ,yes. Did they play that bad as to deserve a loss? No. It’s the fact that they are losing matches even though they are playing well that is putting a bit of mental pressure on the players. I believe that once we win against Fulham on Saturday, we will put on a string of home wins from then on, including the the match against Chelsea later on. 2) Manchester United vs Arsenal: This match will be upon us on 13th of December and this is truly a mouth watering fixture. Head to head, Manutd have the upper hand winning four of the last 5 games against Arsenal in all competitions. 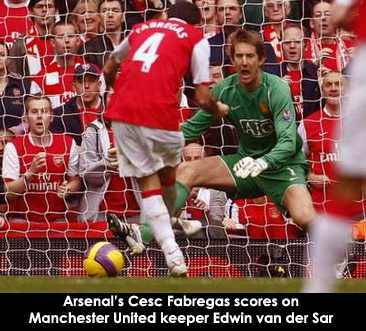 Add to that the fact that the match is at Old Trafford and Arsenal have more pressure on them. Still, this Arsenal is side is now matured and with or without Cesc Fabregas, I expect Arsenal to get at least a point in this game. Remember that this Arsenal side, unlike last season, is doing terrific at away games and a win is certainly on the cards. 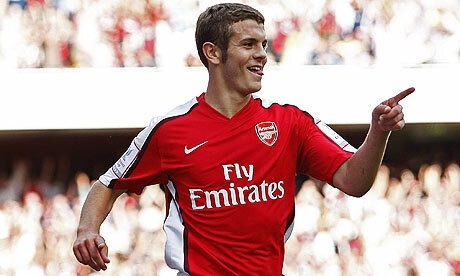 3) Arsenal vs Stoke: Another easy home fixture. We cannot afford to drop points in games like these and I think by now Arsenal will have had learned their lessons and will just do the business. Stoke’s away form has been pretty bad with four losses in six and I’m sure Shawcross will play accordingly if he does not want death threats on his door steps the next morning. 4) Arsenal vs Chelsea: This is a must win game for me. Chelsea might have players coming back but they will need time to get back to full fitness. Also, just because they have players back does not necessarily mean they will be back in form instantly. Head to head, Arsenal are again on the back foot with absolutely no wins in their last 5 games against Chelsea but with a complete change in the centre of defense and a new dimension of play with Chamakh as a striker, I expect the tables to be turned. The Drogs has also been sleeping lately and hopefully he will continue to do so as Arsenal certainly need all the help they can get. I don’t know how but Arsenal HAVE to get a win in this game. So that’s about it. It is clear that Chelsea have the hardest of fixtures, Manutd the easiest and Arsenal somewhere in between. To be title contenders, Arsenal have to get points off these big teams. I do not expect them to win all but to have things differently for Arsenal this time around, they have to win most. Let’s just hope for the best and take on one game at a time and I’m sure our hard work will pay off. I’m off to watch the El Classico match now. Till then. Ciao.